Buy: Amazon| Chapters | Check your local bookstore! I wasn't going to write a 'full' post on this book, but once I started writing it came out longer than I expected so here are some thoughts! I came across this book while doing research for a paper I was writing on Barrie last year. I didn't pick it up at the time, since it wasn't relevant to my paper, but I took a bit of time to read it over my holidays. 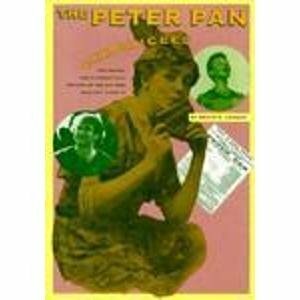 On adaptations of Peter and Wendy - I have seen the musical, the Disney film, the ballet, read the book, read the play, but somehow I have never seen the play! So, for me this was a kind-of, not-really-intriguing read about the various adaptations throughout the years with a heavy focus on the actresses playing Peter. On a lighter note, the parts of the book I enjoyed best were the little anecdotes about performing the play from the actresses. Eva Le Gallienne shares a story of how she sent one little girl, who cried 'No!' when the audience is asked if they believe in fairies, hiding under her seat after giving Eva gave the girl many stern glances throughout the rest of the play. These anecdotes are few, however, and seem to be buried under lengthy descriptions of the actresses' careers beyond their roles as Peter Pan. Overall, the book is a decent introduction to various productions of Peter Pan, but much of the writing is superfluous and made the book less interesting than I think it could have been.